A friendly, historic suburban town just minutes from New York City, Franklin Square is every Long Island home buyers’ dream come true. Convenient to the bustling streets of Manhattan as well as the scenic beaches of Long Island’s South Shore region, the town offers an exceptional quality of life, acclaimed public schools, miniscule crime rate and easy access to major highways, the Long Island Rail Road and John F. Kennedy International Airport in nearby Queens. With its prime location and ample suburban amenities, Franklin Square is an outstanding place to live, no matter who you are. Real estate in Franklin Square boasts easy access to New York City as well as nearby entertainment venues, beaches and other popular destinations. Homes for sale in Franklin Square include modern single-family homes and townhouses with great amenities and nice designs, starter homes, multifamily homes and even more to choose from. They also enjoy competitive prices and solid values, making them great investments overall. Franklin Square homes, with their convenient location and superb quality, make great choices for commuters to New York City, families seeking a livable and safe suburban town and first-time home buyers looking for great deals on starter homes. Once farmland tilled by colonial settlers, Franklin Square saw steady development in the late 19th century and later boomed as one of New York City’s most coveted suburbs shortly after World War II. 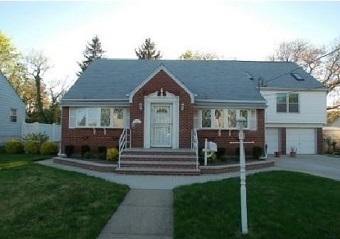 Today it offers a modern housing stock as well as excellent public schools and easy access to New York City, making it one of Long Island’s top communities for families, young professionals and commuters. Recreational parks and leisure activities are very easy to find in the Franklin Square area. Your day might include fishing, swimming and boating along Long Island, golf at one of the many world-class golf courses nearby or taking a leisurely stroll or adventurous hike. The town also offers close proximity to the Oyster Bay National Wildlife Refuge, one of Long Island’s most beautiful natural treasures. 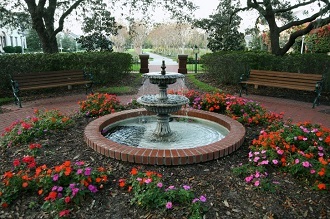 Local attractions abound in the Franklin Square area and include the Norman J. Levy Park and Preserve, the Cradle of Aviation Museum, Hempstead Lake State Park, picturesque beaches, beautiful local parks, distinguished golf courses and a wide array of shops and restaurants to sample. New York City, just a short trip away on the Long Island Rail Road, offers a rich variety of world-class entertainment, cultural and sightseeing options as well. Local events include local sports games, the Annual Independence Salute, concerts in Baldwin Park and much more. Those looking for Franklin Square homes may have a number of choices to consider. A smart call would be the one to ERA Caputo realtor Grace Desiderio, 516-662-5906. 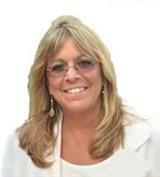 Grace is an experienced pro in the Long Island area, and has a line on the best on the market. With the town’s prime location just outside of New York City, now is a great time to make your home in Franklin Square.